What Are the DNP Capstone Project Guidelines? 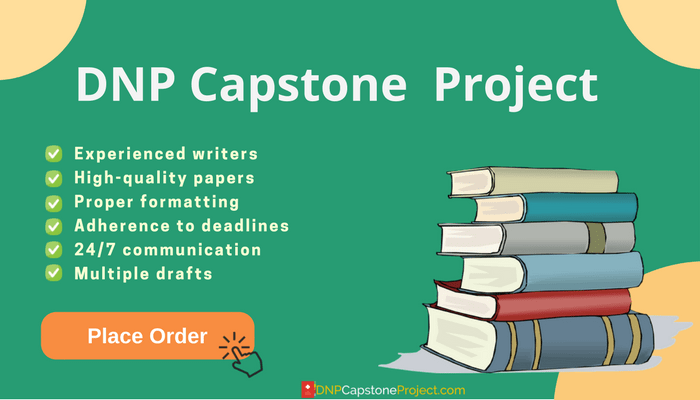 The capstone nursing project is an essential part of DNP programs and there are some basic guidelines to be followed that govern the entire process of DNP projects writing. Although there may be slight variations between different programs the process will be essentially the same. 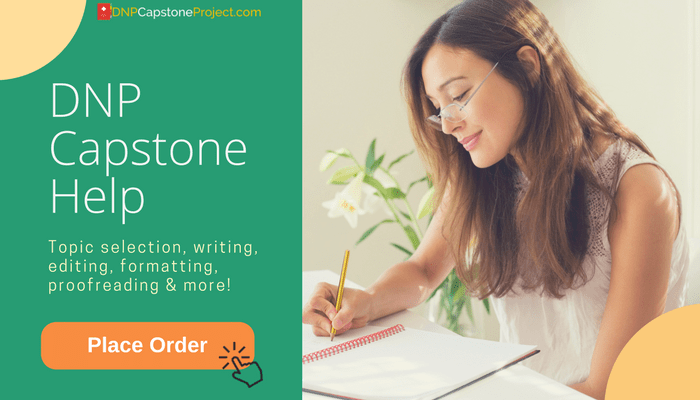 The stages of the capstone project are: 1) Topic selection, 2) Preparation of the project proposal, 3) Oral defence of the project proposal, 4) Working on the actual project and 5) Writing the capstone paper about the project. Each stage of the process has particular guidelines and criteria that must be met. Selecting a topic for DNP capstone project is one of the most critical parts of the entire process and can be a big factor in the overall success of your project. Choosing the best nursing capstone project ideas is also an area that is difficult for many students. Your project should provide something that is both new and is of some use in the field. It is the best to focus on areas that you are interested in for being able to maintain interest throughout the duration of the project. In addition, you should also to choose topics that you already have some knowledge of so that you don’t have to learn a new subject. Other factors that will influence your choice of DNP capstone ideas are the availability of resources and whether or not the topic meets the program requirements. What to Do With the Patient Who Is Ill Critically? Work on your project can’t officially begin until you submit a proposal and receive approval from the capstone committee. Approval of your proposal means that the capstone committee finds the problem worthy of further study and that they consider your proposed approach to the problem to be valid. Most of the research related to your project proposal can be used again when writing the capstone paper providing you with a good head start. While writing the capstone project, the result of mentioning the name or some identifying information about any particular patient or client may come out in the form of course failure. The students may face some problems during writing the capstone project and they should intimate the concerned faculty for some assistance or even notify the Department Chair in case of finding no help from the faculty side. You must protect your privacy while publishing and sharing the content of your personal capstone project via social networks, blogs, virtual worlds or other online forum boards just for the sake of discussion with your friends or other relevant persons, it may be stolen or traced back to you at any stage of life. Being nursing and dental hygiene students, you are preparing yourself for public servicing as expected by top employers such as Dental Hygiene (SONDH) and UH Manoa School of Nursing. So, make sure that your capstone project reflects your professional goals in a very clear manner because later it will become your identity as a UHM SONDH student for all those patients and clinical agencies that search you via social media pages or through your personal web pages. You must not disclose your capstone project content or any confidential information related to you or any other person or agency through social media or other websites. Posting and sharing of such confidential information is the violation of HIPAA regulations. Beware! Sharing the clients’ information or clinical rotation data via any sort of online forum is strictly prohibited. Executive summary/ Abstract: A one-page overview of the project. Our service offers well-qualified help to assist you with following DNP capstone project guidelines and meeting all program requirements should you need assistance!